Keeping the kids’ toys, clothes and books under control can be a real challenge. As soon as you put them up, they pull them out again. 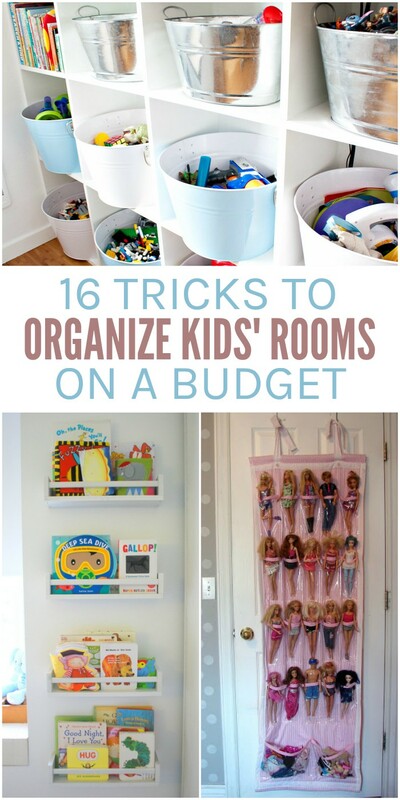 But these kids room organization ideas are not only clever and easy to implement, they’re budget-friendly, too. Who says you have to spend a lot to get organized once and for all? 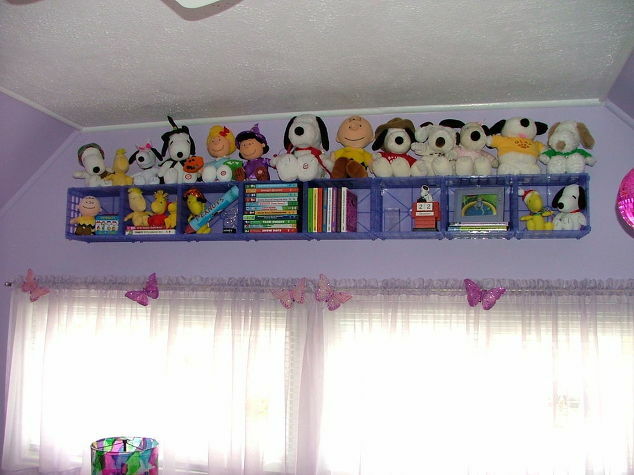 Hang Dollar Store baskets to organize toys and small stuffed animals out of the way. 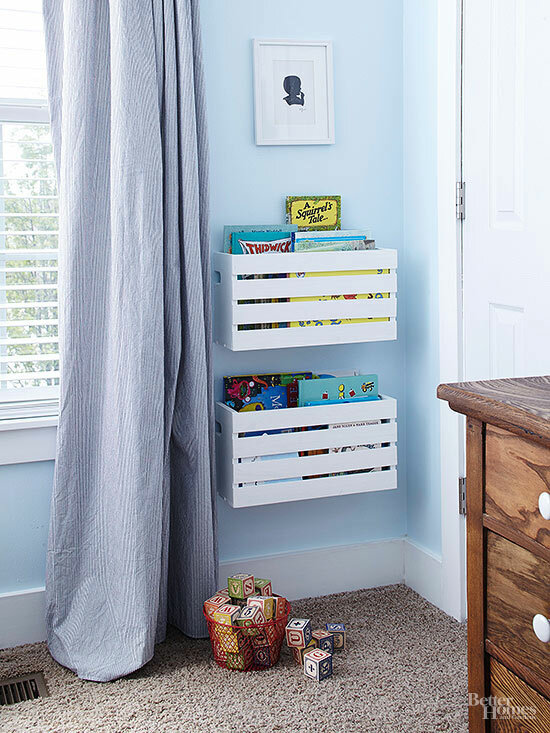 This frees up valuable floor and toy chest space for older kids who want to hang on to some of their favorite toys that they don’t play with anymore. They’re perfect for the closet, too! Use them for socks, swimwear and other seasonal items or accessories that you don’t need to access that often. 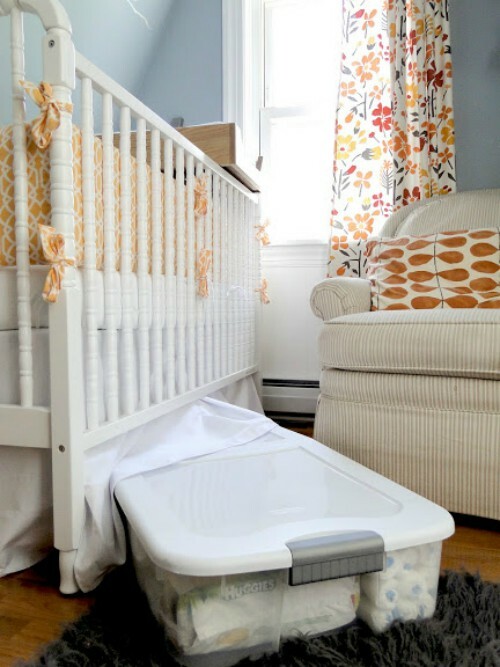 Get a flat plastic storage bin to slide under the bed to keep infrequently played with toys out of the main play area. 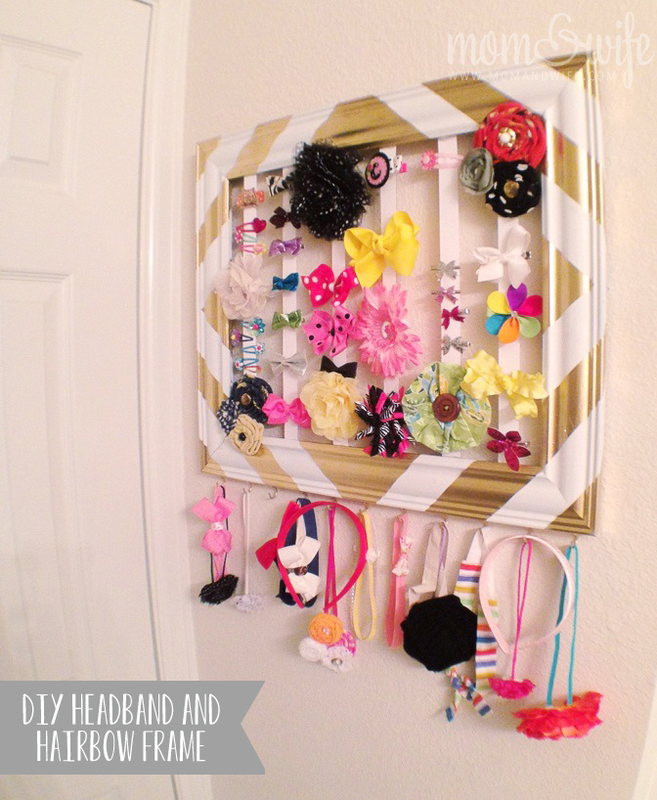 Won’t your little girl love this hair bow and headband organizer? It’s so easy to make with an old frame, some spray paint, and a few pieces of ribbon. 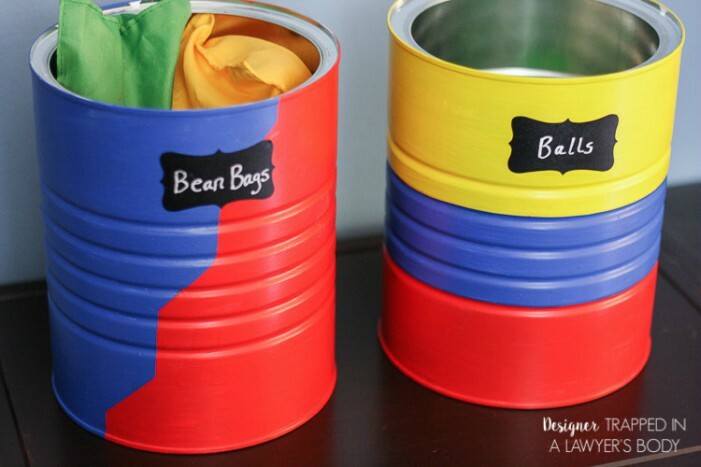 Paint some old coffee cans and use them to store small toys like bean bags, balls, puzzle pieces, and small figurines. 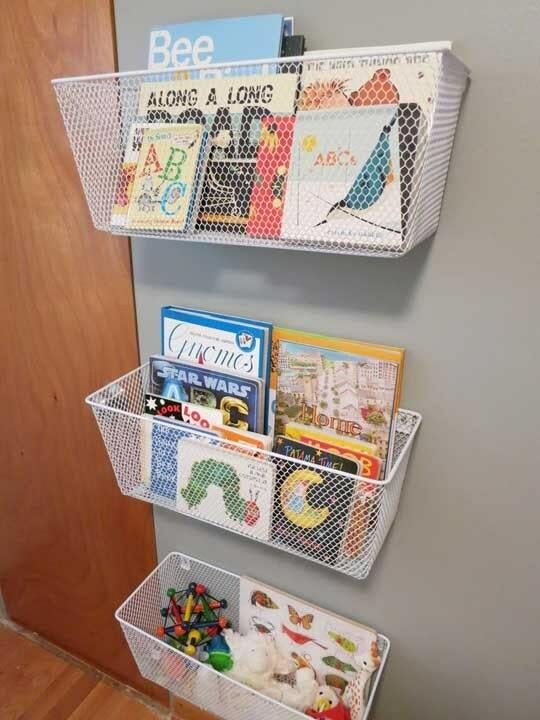 Wire baskets are another great way to organize those books and small toys. I’ve found these at both Dollar Stores and Walmart for just a few bucks a piece, and we use them in several rooms. Spice racks make wonderful bookshelves, too! Repurpose some old ones you have lying around if you have them. These are from IKEA and only cost about $4 each. 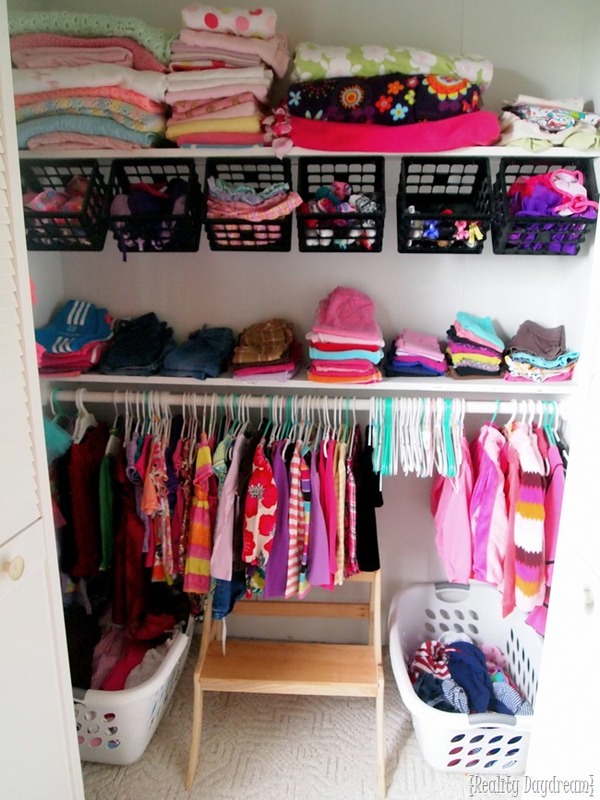 This DIY Barbie organizer is genius! But if you don’t have the DIY gene (I can’t sew to save my life), a shoe organizer will work just fine, too. 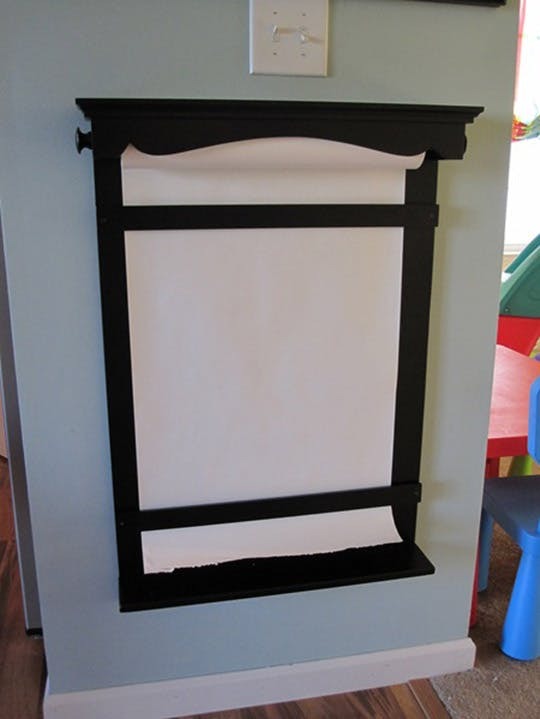 A wall easel will keep your little one’s artwork in a confined space without getting scattered all over the room. This one cost less than $10 to make. 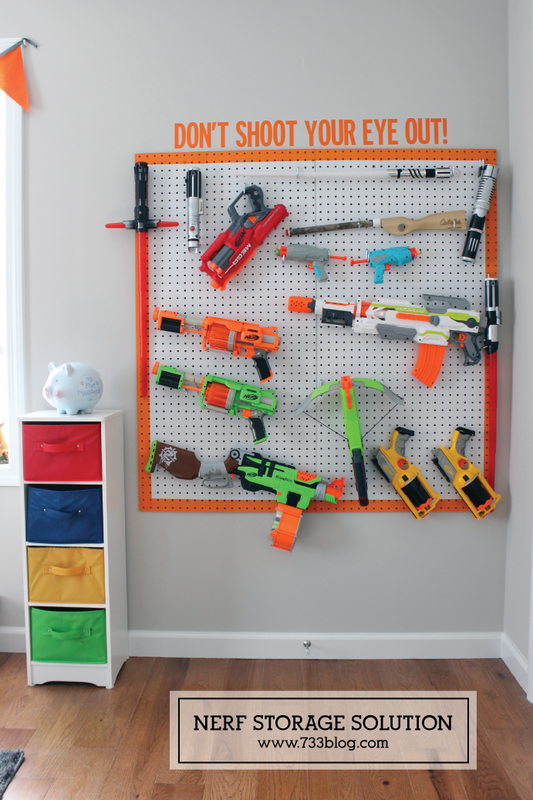 Add a basket to the wall for pencils or markers, and you’re all set. 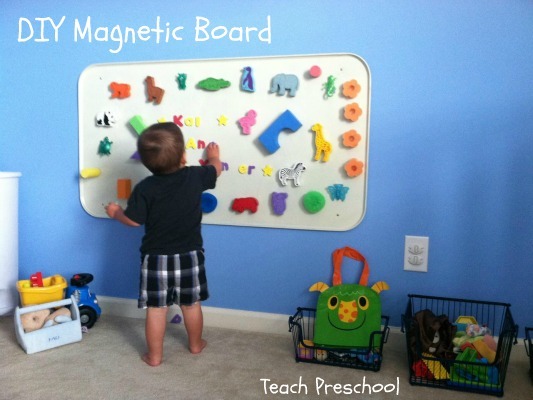 Do your kids lose their magnetic toys all the time? Or do they cover your fridge? 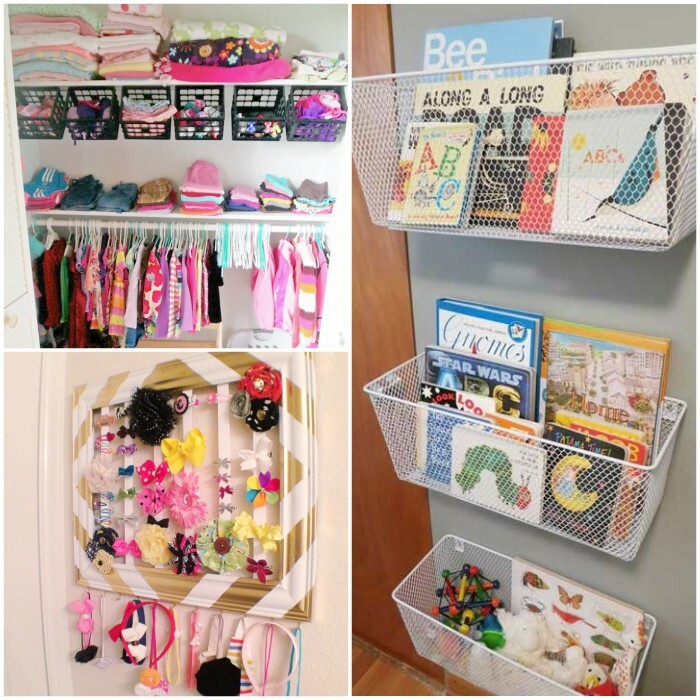 Here’s an easy way to keep them organized: a DIY magnetic board in their bedroom. 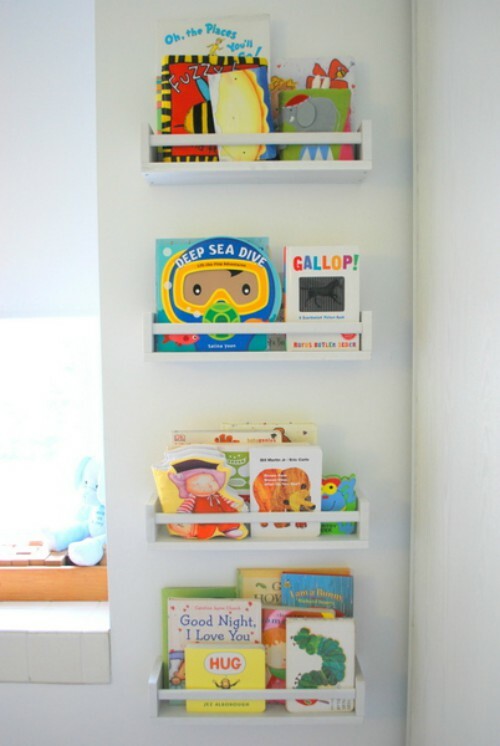 Cut crates into to create crate wall storage for books and toys. 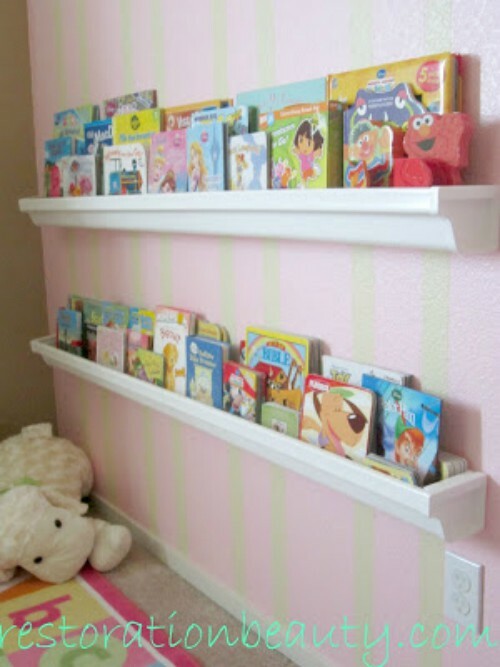 For an even cheaper solution for book storage, make yourself some rain gutter bookshelves. For only a few bucks total, you really can’t beat this idea! 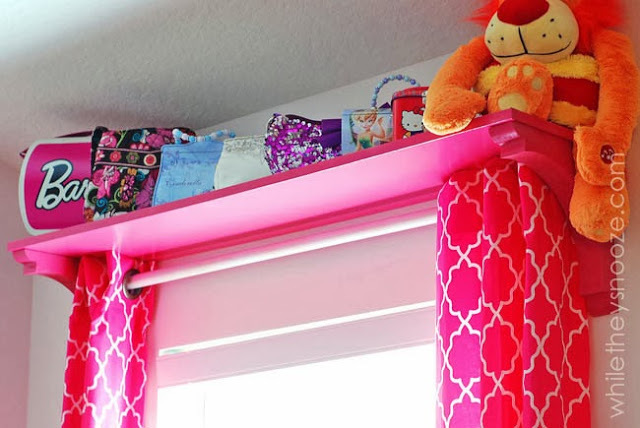 An easy curtain shelf is affordable and a great way to store purses, bags or old toys that aren’t played with often. 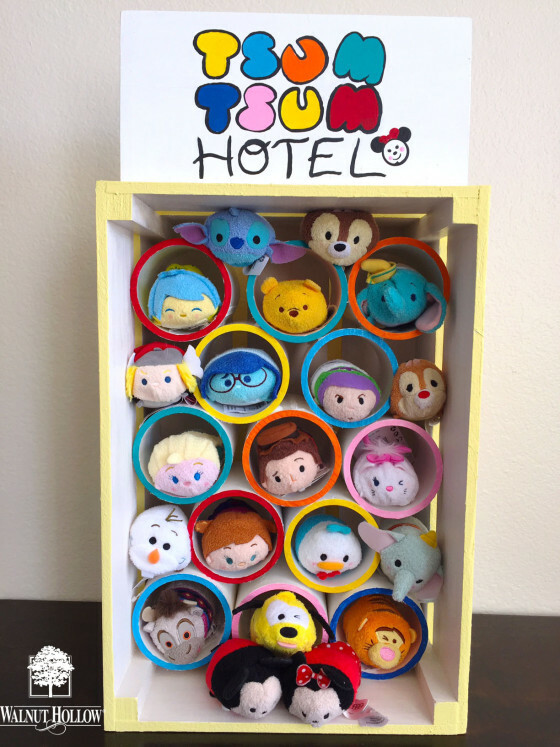 PVC pipe and a crate can be used to make a toy hotel for your child’s favorite playthings. Don’t overlook good old fashioned pails and buckets. These are lovely, but you don’t need to buy new ones. Recycle your kids’ sand pails, old baskets, etc. 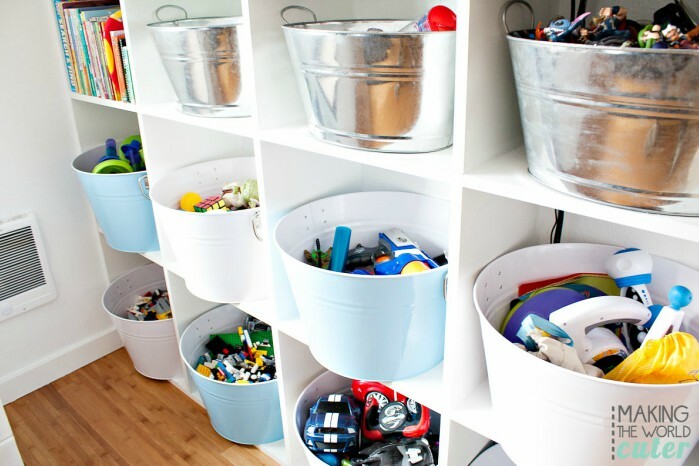 with a coat or two of spray paint to create a cohesive look for the buckets you already have in your home.